The AWS Amplify Console provides a Git-based workflow for deploying and hosting fullstack serverless web applications. 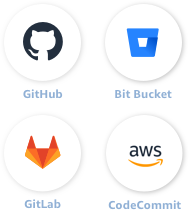 A fullstack serverless app consists of a backend built with cloud resources such as GraphQL or REST APIs, file and data storage, and a frontend built with single page application frameworks such as React, Angular, Vue, or Gatsby. Fullstack serverless web applications functionality is often spread across frontend code running in the browser and backend business logic running in the cloud. This makes application deployment complex and time consuming as you need to carefully coordinate release cycles to ensure your frontend and backend are compatible, and new features do not break your production customers. 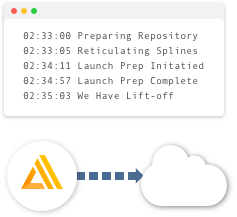 The Amplify Console accelerates your application release cycle by providing a simple workflow for deploying full-stack serverless applications. You just connect your application's code repository to Amplify Console, and changes to your frontend and backend are deployed in a single workflow on every code commit. Work on new features without impacting production. Create branch deployments linked to each feature branch. Your app is served via Amazon's reliable content delivery network with hundreds of points of presence globally. Set up custom domains managed in Amazon Route 53 with a single click plus get a free HTTPS certificate. All successful deployments are available immediately after an update. Failed deployments do not impact production traffic. Connect your repository to 'git push' changes to your frontend and backend in a single workflow. 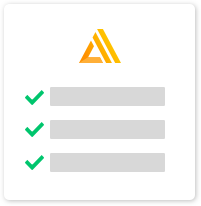 Share yet-to-be released features with internal stakeholders by setting a username and password. Add dynamic functionality using GraphQL or REST APIs. Use AWS Amplify Console to deploy your frontend and backend in a single workflow. PWAs offer native app-like performance, work offline, support push notifications, and can be updated over-the-air. Use AWS Amplify to deploy PWAs to mobile devices. Use static site generators like Hugo or Jekyll to publish a blog. SSGs perform faster than traditional websites. Deploy SSGs with free SSL on the AWS Amplify Console.